Farmingdale, NY - April 11th, 2013 - U.S. Senator Charles E. Schumer, U.S. Senator Kirsten E. Gillibrand and Congressman Peter King today announced that the Farmingdale Fire Department will receive a total of $200,450 in federal funding in Round 21 of the FY12 Assistance to Firefighters Grant (AFG) Program. AFG awards are administered by the U.S. Department of Homeland Security (DHS) Federal Emergency Management Agency (FEMA) and are designed to help firefighters and other first responders obtain critically needed equipment, protective gear, emergency vehicles, training and other resources needed to protect the public and emergency personnel from fire and related hazard. The Farmingdale Fire Department will use the funding to purchase self contained breathing apparatuses and air canisters. Senator Gillibrand appealed personally to FEMA Administrator W. Craig Fugate on behalf of the Farmingdale Fire Department. In her August 2012 letter, Senator Gillibrand urged FEMA to fully fund the Farmingdale Fire Department’s request for funding to upgrade Self Contained Breathing apparatus (SCBA) packs in order to meet safety standards. “The Farmingdale Fire Dept. is extremely appreciative of all the help Senator Schumer, Senator Gillibrand and Congressman King have provided our officers and members . This grant will afford us the opportunity to purchase 32 self contained breathing apparatuses and 64 air bottles and will allow us to replace all of our old packs & conform to the N.F.P.A. 's regulations,” said Skip Schumeyer Commissioner Farmingdale Fire Dept. Farmingdale Fire Department will use the federal grant to purchase 32 self contained breathing apparatuses and 64 air canisters. Schumer was an original sponsor of the legislation that led to the creation of this funding program for local governments and fire departments to help defray the rising costs of equipment and fire prevention. 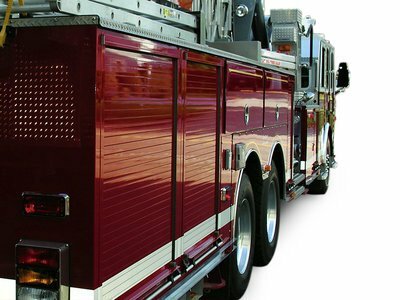 The Assistance to Firefighters Grant Program funds can go towards training, equipment, personal protective equipment, wellness and fitness, and modifications to fire stations and facilities. The Assistance to Firefighters Grant Program assists local fire departments in programs and activities to improve the effectiveness of firefighting operations through specialized emergency training for response to situations like terrorist attacks; enhancement of emergency medical services programs; development of health and safety initiatives; establishment of fire education and prevention programs; creation of wellness and fitness programs; and equipment and facility upgrades. The Assistance to Firefighters Grants are administered by the Department of Homeland Security Federal Emergency Management Agency in cooperation with the Department's United States Fire Administration. The grants are awarded on a competitive basis to the applicants that most closely address the program's priorities and demonstrate financial need. More information on the Assistance to Firefighters Grant Program can be accessed at http://www.firegrantsupport.com/. Subject: LongIsland.com - Your Name sent you Article details of "Schumer, Gillibrand, King Announce Over $200,000 For Farmingdale Fire Department; Investment Means Vital Equipment For First Responders"